Concept: To increase in-store visibility, Nut-Thins launched an in-store selfie contest, where consumers have the chance to win big by uploading a photo of themselves with Nut-Thins products. Brands are constantly looking for new and innovative ways to capture consumers attention, but also to entice them to visit brick-and-mortar locations. As internet and mobile shopping rates continue to increase, brands are getting more competitive and savvy with the types of activations they are creating to keep people in-store and engaging with their products. Blue Diamond is one of those brands that is using social media to encourage in-store visits and to drive brand awareness with their consumers and retail partners. From now until July 29, 2018, consumers will be able to enter for the chance to win a $1,000 shopping spree at one of Blue Diamond’s retail partners by simply uploading a photo of themselves with a package of Nut-Thins in-store using the #NutThinsContest. 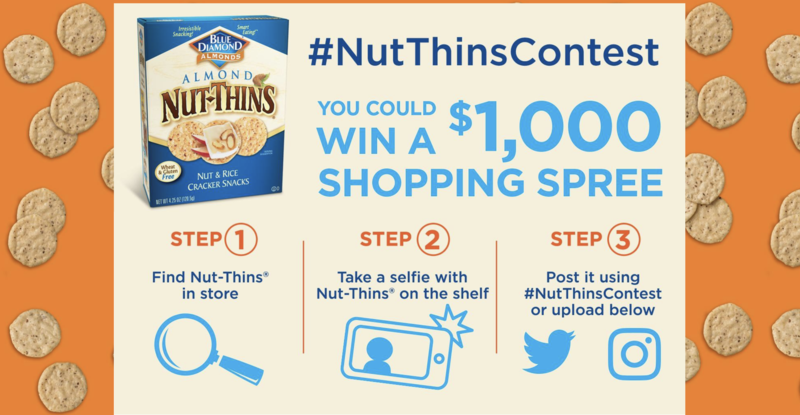 The ask is simple, but based on the response from consumers, Nut-Thins in-store selfie contest is a hit, with high engagement and solid online sharing results. Along with encouraging consumers to engage with the Nut-Thins brand, Blue Diamond has also been able to leverage their retail partnerships with Target, Kroger, Safeway, Stop & Shop, and Food Lion, as part of their prize offering. 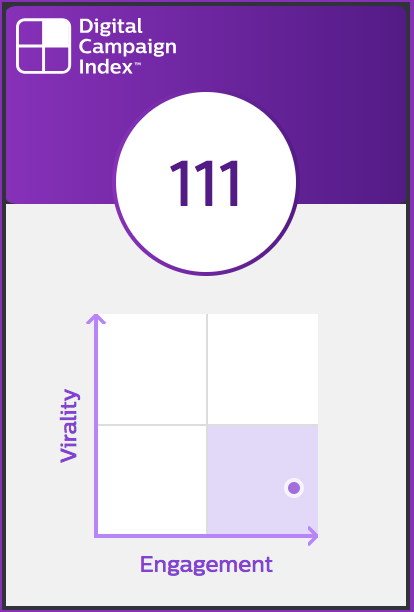 Nut-Thins’ DCI score is a combination of an Engagement Score (ES) of 180 and Virality Score (VS) of 43. Nut-Thins campaign is a great example of a well-rounded campaign designed for both engagement and virality. Embed a photo gallery on your website. The Nut-Thins team increased the likelihood that consumers would stay on their page by incorporating a scrolling Photo Gallery of their consumers’ photo submissions, increasing time on site and clicks on the latest submissions. Featuring UGC on your homepage helps to drive traffic, increase conversions and showcase authentic usage of your product/service. In this case, it was also a great way to show off their retail partners in-store locations. Integration matters! Integrating your campaign with your internal marketing and sales platforms (e.g., Salesforce, email integrations) is a great way to continue to engage and re-engage consumers that participated in a campaign. Further, integrating your digital activities with retail partners, is a smart way to strengthen those relationships, while also engaging consumers around your products. Encourage live sharing in-store. Today, brands and their retail partners can share a digital space. Encourage your consumers to share in-store UGC content is a great way to increase brand visibility and get consumers to head in-store to find and showcase your product. In the case of Nut-Thins it helped that they sweetened the deal with a great prize package. Include a hashtag for sharing and featuring. A simple way to increase sharing is to enable entry submission using a campaign hashtag on social or include a social content stream tied to a hashtag on your campaign’s landing page. Nut-Thins made the great choice to include both features to increase their campaign’s virality potential. To learn more about ways you leverage interactive experiences for shopper marketing campaigns, check out our Shopper Marketing Guide.